The bloody moon shines through the depressing haze of dusk. Battle steeds gallop ahead and wolves howl throughout the night. Vampires, Humans, Werewolves… Who will become the conquerors of the world? GTArcade is excited to announce that everything is all set for the release of their highly anticipated SLG title, Blood Crown. The release will take place in the middle of September! 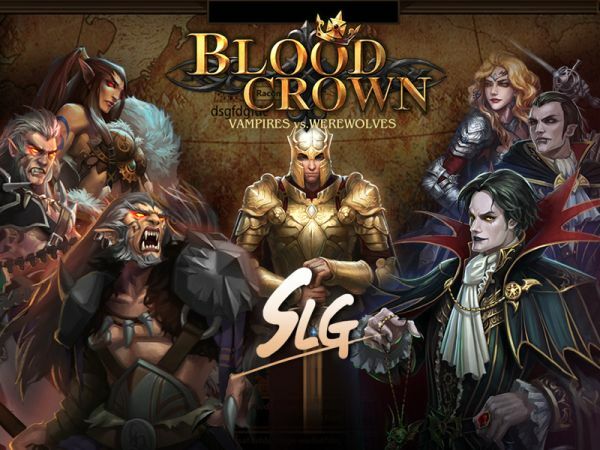 Blood Crown will feature all the great aspects that fans of SLG’s love, such as plenty of magnificent buildings, beautifully drawn complex maps, a tactical battle system, tons of skills, technology, heroes and a terrific guild battle system! “We’re confident that Blood Crown will be a success,” says Frances Sun, Product Manager for Blood Crown. “Players have time to play and discover items not only by themselves but also with help from their guild. If players want to be the king of the world, social interaction is an important tactical point for players to consider.” This extra emphasis on social gameplay creates a different experience every time players log into Blood Crown.